Do you need a camera inspection? Find out! 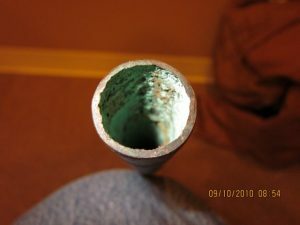 Are you curious about the condition of your pipes? Wondering if you have a leak or clog? 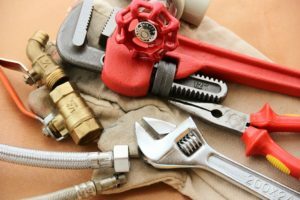 Do you think your old pipes are causing plumbing problems? Camera inspection could help you answer those questions! But how do you know if you’ll benefit from a camera inspection? Let the professionals at TRS help! The situations below are examples of circumstances in which a camera inspection would prove to be beneficial. Have a look! 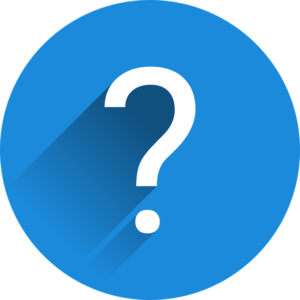 Inconsistent water pressure/sinks not draining properly – Are you experiencing inconsistent water pressure from your sinks or showers? Do they seem to not drain properly? More than likely, there is a blockage in your pipes. In addition to determining the location of the blockage, a camera inspection will uncover any cracks in your plumbing that could cause additional issues. 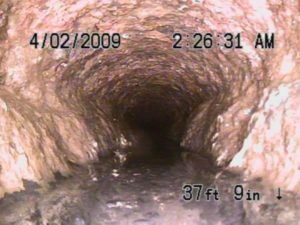 Sewer backing up into your bathroom – Yikes! If you’ve noticed your sewer backing up into your bathroom, this is something that needs to be fixed right away. You could potentially have an obstruction in your sewer drain. Without a camera inspection, it could be hard to find this obstruction without tearing up your bathroom floors. Buying a new home – Depending on the condition of the home you are buying, you may want to have your sewer line inspected with a camera. This will give you a good idea of not only what you’re buying, but what problems you could be faced with in the future. Selling a home – You could potentially increase the value of your home and help it to sell faster if you have a camera inspection of your sewer line. This gives buyers reassurance that the home is free from expensive sewer-related issues. No matter what type of sewer issue you face, having our certified team of trenchless professionals inspect your line is a good idea. We can save you time and money by getting to the root of the problem with a camera inspection…no digging required! Contact us today! When Would You Need Trenchless Replacement? When would you need our trenchless replacement services? We’ve told you a lot about our trenchless technology and why to choose us for your next job. But when would you need trenchless replacement services? Of course, we would never wish an emergency on anyone, but they happen. So when would you call the professionals at TRS? Let us tell you more about our trenchless replacement services! 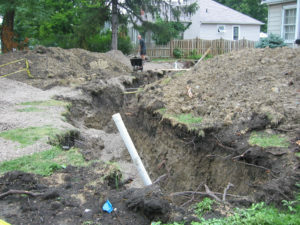 With our excavation services, we have the capability to repair, replace, and install your water, sewer and drain lines. Through directional drilling, a new sewer, water line, or conduit line can be established…all without a preexisting line! The process of underground boring connects underground pipelines, all without trenching! We can identify and label public underground utilities; including lines for telecommunication, cable, electricity distribution, gas, fiber optics, traffic or street lights, storm drains, water mains, and wastewater pipes. Hydro jetting is the process of clearing a drain with a high-pressured hose. This is usually done through a cleanout opening. The pressurized water is forced down the drain, where it pushes buildup through the drain. This process can clear anything from mineral deposits to tree roots! We also offer camera inspections to determine what is the best solution for your problem. Of course, before we agree to take on your job, we would be happy to meet with you and/or your insurance representative to determine which of our services is best suited for you. Our goal is to minimize damage and get you and your family back to your normal routine as soon as possible. Need Trenchless? Think Of Us First! When most people hear the word “plumber” they think of clogged sinks and broken air conditioners. At TRS, we may have a plumbing license, but we are far from your average plumber. Let us tell you more! At TRS, we use the latest in trenchless technology to repair pipe systems for both commercial and residential customers. By definition, trenchless technology is a type of subsurface construction work that requires few trenches or no continuous trenches, proving to be much less destructive than traditional plumbing methods. This trenchless technology can be used in sewer line repair/replacement, excavation, directional drilling, underground utilities, and more! Find out more about trenchless technology! So how exactly are we different than your average plumber? When it comes to underground work, we are best suited for the job. Why? Our technology is not only less intrusive and destructive, but it is also more efficient and in many cases can save money. 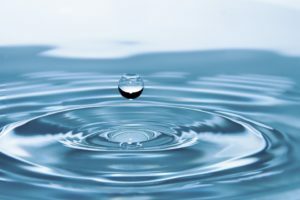 Even including the majority of situations where homeowners are responsible for the condition of the sewer line to its connection with the sewer main! Additionally, most repairs can be made in just one day! So don’t displace your family or wreck your landscaping, trust trenchless technology today! Before you hire Trenchless Replacement Specialists into your home or business, it’s important to know who we are, what we do, and how our service can benefit you. Let us tell you a little more about ourselves! Local to the Permian Basin, our skilled team has been servicing drain lines in the West Texas market since 1988. We strive to provide the highest quality of service to ensure total customer satisfaction. Utilizing modern technology, we repair pipe systems in a way that is more convenient and affordable than costly digging and damage. We work for both private homeowners as well as large commercial entities including the University of Texas, Odessa Regional Hospital, Midland Memorial Hospital, and the Junior League of Austin. At Trenchless Replacement Specialists, we specialize in proven advanced methods of determining the cause of sewer and drain problems. We use the latest in trenchless technology to help our clients save time, money and aggravation. Trenchless Replacement Specialists has the experience and technical knowledge to specify the right thickness and right resins to meet your specific needs regardless of how deep the pipe or how corrosive the environment. However, our services are not limited to only trenchless technology. We can also do excavation, directional drilling, underground utilities, and more! Trenchless pipe replacement is a better solution; saving you time, money, and aggravation. No one wants piles of dirt or deep ditches around their home or business. Our service creates less hassle than traditional dig methods, while still offering the structural strength of new pipe. Forget having to tear up driveways, sidewalks, porches or landscaping! Our service allows our team of professional technicians to replace underground pipe without disturbing any surface materials. Not to mention the increased flow you’ll experience! Cured in place pipe is actually much smoother than old clay and concrete pipe, allowing for greater flow capacity. If you have further questions or would like to know more about our work, check out the rest of our website or give us a call at 432-580-7693. If you’d like to set up a bid or service request, contact us today!